Soho Outdoor Club Chair in black resin wicker with a brushed grey finish aluminum frame and light grey cushions. The Soho Club Chair is something to talk about. 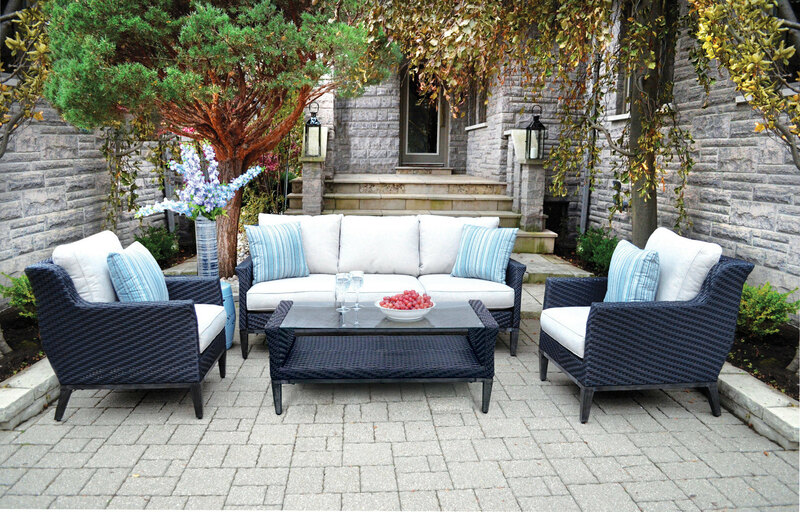 This streamline modern club chair boasts a sturdy aluminum frame wrapped in all-weather resin wicker and comes complete with coordinating plush spun-poly cushions. Sit back, relax and enjoy your day sitting in the Soho Club Chair.